This film was originally written as part of my USA Road Trip series for French Toast Sunday. 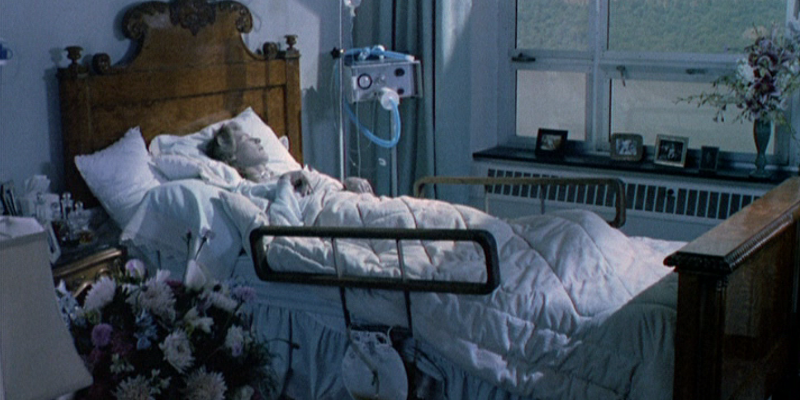 Sunny von Bülow (Glenn Close) is in a coma, from which she will never wake. Her husband, the aristocratic European Claus von Bülow (Jeremy Irons) has been charged with her attempted murder, apparently using an insulin overdose, in order to inherit her vast wealth and move on with his life. Claus is released on bail, and hires small time lawyer Alan Dershowitz (Ron Silver) to make the case of his appeal plea, despite Dershowitz insistence that Claus is guilty, what with the mountain of evidence piled against him. He is given 45 days to assemble a team and build a case against Claus’ guilt, which proves more difficult than he’d ever thought.